Join the ED-BRIDGE team during regular weekly informal office hours, online or via phone. This is a time to engage and support providers and administration through the process of getting an Emergency Department set up for buprenorphine treatment and referral. Stories from patients and providers can engage us all in increasing access to care. Read about experiences from providers and patients who have experienced improved access to care. Share your stories with us so that your work can be an inspiration for others. The ED-BRIDGE team is excited to connect with providers seeking insight into the use buprenorphine from the ED setting to treat opioid use disorder. Please feel free to reach out via email or by using this form. 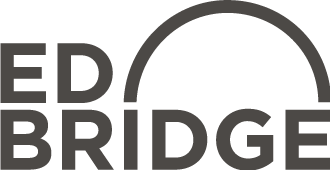 Thank you for connecting with the ED-BRIDGE team. We will try to return your message within the next week. Sign up with your email address to receive news and updates on a monthly or semi-monthly basis. Your information will not be shared beyond the ED-BRIDGE network. We look forward to sharing more information about buprenorphine and treatment for opioid use disorders as it occurs.